This is a short summary of what you should know when selecting engine oil for your M20/M30 engine. There is no need whatsoever for the M20 and M30 engines to have engine oil with BMW Long Life specifications. However if you stumble upon a BMW Long Life marked engine oil, it is of course a sure tell tale that the engine oil is of good quality. 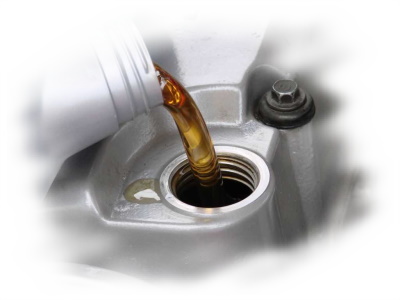 But focus on using an engine oil with proper API rating (such as API SL or SM) and with proper viscosity instead. And change oil and oil filter regulary! If you follow these simple rules you'll be fine! But don't skip those oil changes! Recently there have been raised concerns about the reduction of the ZDDP additive in the new API SM / ILSAC GF-4 quality standards. ZDDP (zink dialkyldithiophosphate) is used as an anti-wear additive in most engine oils. As the name indicates, it's a combination of zinc and phosphate. In 2004, the US government mandated 120 000 mile lifetimes of catalytic converters, and since phosphorous contaminated them, the phosphorous content of oil had to be reduced. Here are the maximum allowed levels of zinc and phosphorous (in weight) for the most recent API quality standards (phosphorous limits was already introduced in the API SG quality standard from 1989). The greatest concern of reduced ZDDP is for camshaft wear in engines with flat tappet lifters (solid and hydraulic flat tappet lifters), especially those having high tappet pressure at the camshaft. Late model engines with roller lifters or followers are not affected because the loads are much lower on the camshaft lobes. However huge efforts are put into the quality standards issued by API and ILSAC to make sure they are fully backwards compatible. For example, one of the engine tests required for API SM (the Sequence IVA) is a sliding tappet design to test specifically for cam wear protection. But this test may not be enough for special situations such as "performance" engines or fully race built engines which usually have higher loads on the camshaft lobes. Below is merely a small selection of engine oils I happily would pour into my M20 and M30 engines. The viscosity range depends of course where you live and for me 0W or 5W is most suitable (since it could be quite chilly here).